Subaru Rally Tasmania is supported by local Launceston Subaru dealer, Neil Buckby Motors, where Dealer Principal Crichton Lewis is a long-term participant in - and supporter of - the sport. Molly also attended the Motor Sports Club of Tasmania’s 60th Anniversary – at which Les Walkden was recognized with life membership. 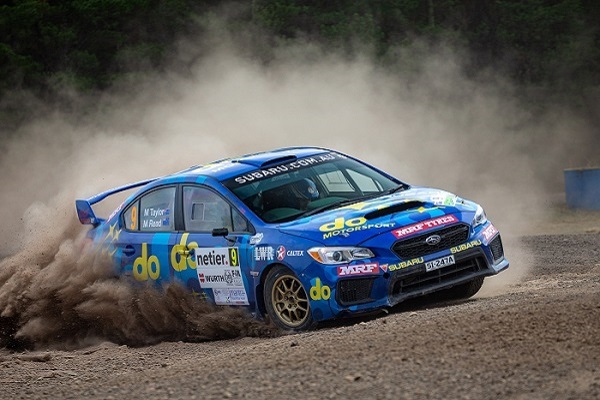 Subaru do Motorsport merchandise will be on sale on Friday at the Inveresk Super Special Stage and also on Saturday and Sunday at the Inveresk Service Park. Among the new items is a polar fleece and beanie. The merchandise can also be obtained at: https://shop.subaru.com.au/ or via authorised Subaru retailers.